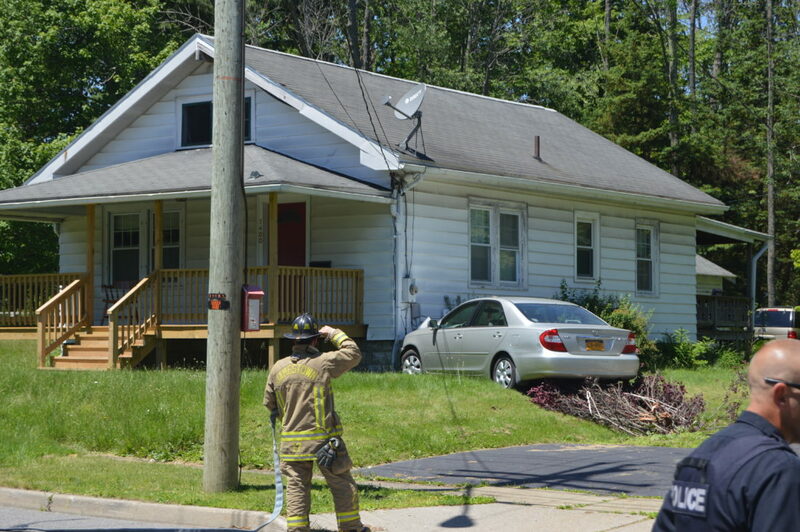 Traffic was briefly redirected Thursday afternoon after a car struck a house at 1400 Newland Ave. in Jamestown. The crash caused a gas leak, forcing police to clear traffic near Newland and City View avenues for about a half hour. Crews from National Fuel shut off gas, and the car was removed from the side of the house. No injuries were reported. The cause of the crash was not immediately known.